Today ALA promotions posted on their facebook that the longest-reigning Filipino boxing world champion is leaving his IBF title and now moving to 115 where big challenges awaits. Today, I have made my decision to move up to 115 and vacate my IBF Flyweight world title, this is the challenge I have been waiting for. to go up in weight is never easy but this is my Dream to become a 4th Division World Champion and to fight all the Big names at Superflyweight. I would like to sincerely thank the IBF for giving me the opportunity to be a World Champion of their Organization and the WBO for putting me now as the #1 contender to fight for the vacant WBO Super flyweight title. Finally, I would like to thank ALA Promotions, My Coaches and ABS-CBN for all the support they have given me throughout my career, I would have never accomplished everything I have now without them. This is a new challenge for me and I am very happy that ALA Promotions has supported me to pursue my dream of a 4th Division World title. Moving 115 will be a tough for Nietes, considering there will a lot of big names boxers that he might face including top contender Aston Palicte, Jerwin Ancajas, Chocolatito, Estrada and Sor Rungvisai. But it also a good decision because Nietes is not young anymore and he needs prove something by defeating notable opponents in the super flyweight division and this is also another chance for him to make name worldwide. 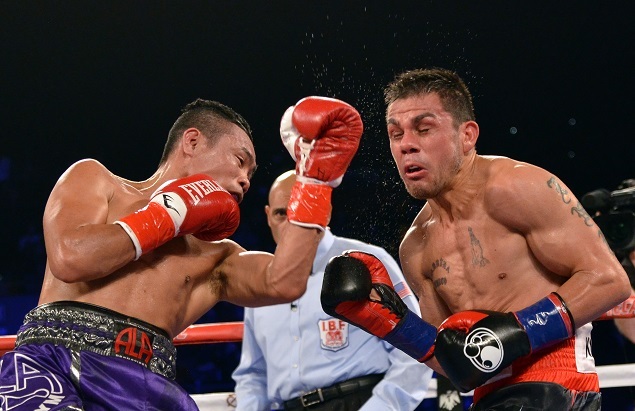 The WBO super-flyweight title is now vacant and he is the no.1 contender in the said organization. He could face Chocolatito or Palicte for that vacant belt on his next fight.